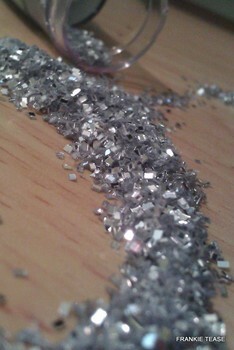 FrankieTeaseMagazine: How to burlesque "glitter"
There are many types of glitters and there are many uses for glitter. In burlesque it can range from decorating your shoes with glitter, to using body glitter or preparing a glitter dump as a part of your act. If it is going to be flying through the air in any way, you must never use 'craft' glitter. It has sharp shards of metallic substances that can scratch or gash eyes and sensitive skin. It is not designed to be in contact with the body in any way and is used only for things such as wardrobe or props. Glitter for crafting can range from large flakes to fine dust. Craft glitters are poly coated dyes rather than poly coated (and sealed) cosmetic grade pigments. There are large and small chunk sizes, as well as glue with glitter already embedded in it. I found an amazing selection of craft glitters at 'Columbia Art and Crafts" [1515 East Burnside Street, Portland, OR 97214-1452(503) 232-2216]. When using decor for your body, there are many types of applications that can be used , but the main thing is that they are made of polyester, not metal, as the metal-based craft glitter can cause serious damage if in contact with the eyes. Loose polyester based glitter is approximately 3 dollars per 1/2 oz., and is very fine. 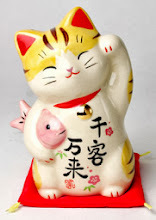 You can find this locally at Lippman's Party Store [50 Southeast Yamhill Street Portland, OR 97214-2135 (503) 239-7007]. Body glitters range from cheap $1 tubes to lavish $60 and up products. Lotions that have fine shimmers to them are best applied after you are fully costumed- or you may end of with your glitter all over your costume, not your skin. The tube glitter that you can roll on really comes in handy for specific body and face highlights. As a local burlesque show producer I have had many conversations with a ton of venues about glitter. Be courteous to your venue, they have to clean it up. If they have fine restaurant equipment you may want to stay miles from it with your glitter, whether it is craft or cosmetic glitter, it can do serious foul-ups to the average espresso machine. Whether you are jazzing up your skin, face, prop or costume, the glitter is the thing. Just be careful to keep the dangerous chunks away from your eyes, and use the polyester based for dumping, as well as cosmetic grade glitter for your body decor. Find out more about glitter at (I never thought I'd say this) http://www.marthastewart.com/ or visit the local Portland, OR. party store, crafts store, or costume shops.